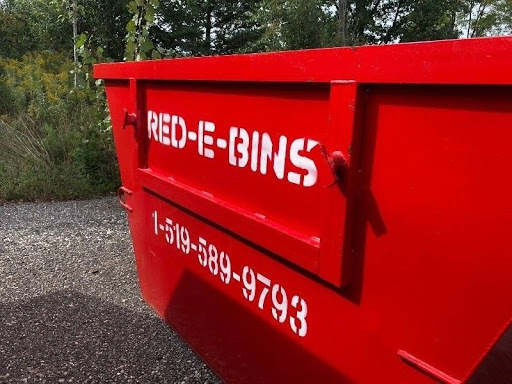 Red-E-Bins is a locally owned company supplying Residential and Commercial Waste/Junk Bin Rentals throughout Southwestern Ontario. All-Inclusive pricing takes the guesswork out of fees!Red-E-Bins custom designed and manufactured trailers and bins can fit in areas that others are not able to access. We are driveway friendly and ideal for renovation, flooring removal, junk removal, yard waste, roofing etc.